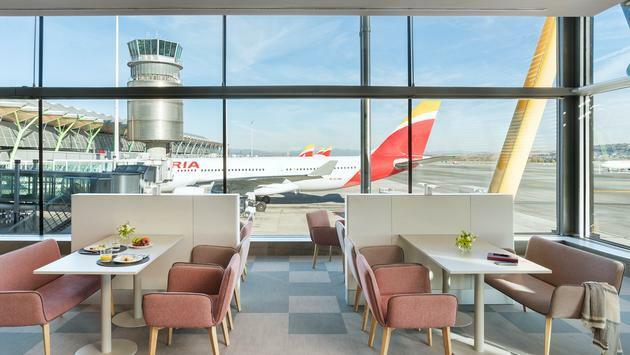 Iberia is transforming its Velazquez lounge at Madrid Barajas International Airport into a worthy destination in and of itself. Spain's flag carrier announced a handful of enhancements to the premium lounge inside the airport's T4 Satellite building Monday, including 25 percent more space, technology upgrades and revamped meal service. Open 24/7, the new and improved lounge boasts unlimited Wi-Fi, furniture equipped with USB charging ports, a rest area featuring chaise-lounges, six shower booths, an entertainment zone for children and multiple dining options. Guests can choose from hot and cold buffets or traditional sit-down restaurant service as well as 22 different Spanish wines, including more than a dozen reds, eight whites and a rose. Coffee and tea will be served throughout the lounge and healthy options are coming soon through the introduction of the "Health Point." Iberia plans to install touch-screen tablets in the buffet area during the coming days. The computers will offer guests additional information regarding the latest food and beverage offerings along with helpful recommendations. There are also convenient spaces where business travelers can work or meet as a group. Meanwhile, the kids' area will feature traditional games, video games, televisions and child-sized furniture. 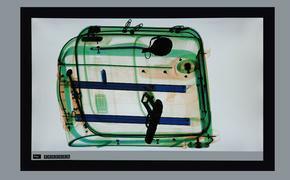 "From now on, to rest, to work, to enjoy a refreshment, or calmly wait for your flight to be called will have a new meaning; we have made improvements to everything, with special attention to connectivity and food service, for an unrivaled customer experience," the airline's customer and business transformation director, Gabriel Perdiguero said in a statement. The expanded lounge now covers 26,910 square feet and can accommodate up to 500 people at a time. Iberia said approximately 1,200 passengers utilize the space each day. Perdiguero went on to point out that the Velazquez lounge project is just the latest example of how Iberia has been working to make continuous improvements to its customer service. In addition to the Velazquez lounge, the airline operates the Dali lounge at its Madrid hub.